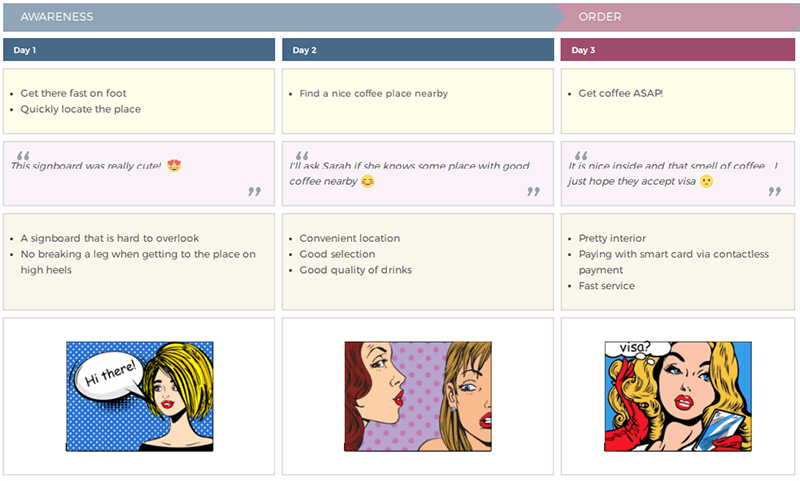 It’s time to introduce one of the long-awaited and frequently asked-for features — substages on customer journey maps! 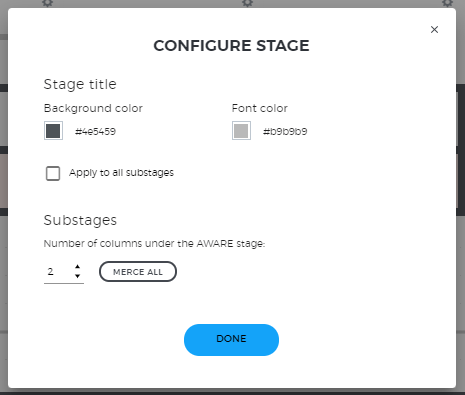 The new feature lets you split your stages into substages, customize their color and merge them together. This means that you will be able to have several columns under the same stage. So now there is no need to create separate CJMs for extensive stages of the customer journey. Moreover, you can customize the number of the substages and their background color in a separate pop-up window. All of this will allow you to make you CJMs even more detailed and map out all the possible substages of your customer journey.